Capital Couriers can create a special rate sheet based on where you ship from and the destinations that your products go to. This removes the doubt of what a job will cost and this matrix can be adjusted as you add new customers. 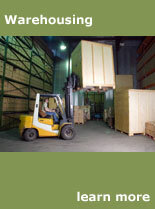 This system is available on the Internet and you can place freight orders on it. You will have your own account and password and login. You fill in the form on the screen and when it is accepted, it will appear on the dispatchers' screens as available. You can then monitor the progress of the job as the dispatcher assigns it to a driver and updates the status as the job is picked up and is delivered. At the end of the day, you can access all completed jobs and get their costs. This permits you to invoice your customer before you receive an invoice from Capital Couriers. 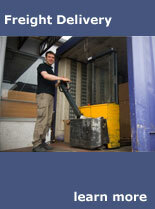 Capital Couriers uses a state-of-the-art computerized dispatching system. Once the order is accepted by the System, it will appear on the Dispatcher's computer screen, and be assigned to a driver. As the driver calls in with the status of the order, the customer can monitor the progress of the shipment right through the receipt of the material at the consignee. Customers can always call us, but this capability provides a smooth method of placing a delivery order and then obtaining status on that order. Capital Couriers dispatching service has multiple dispatchers during the day and 24/7 service by a live dispatcher--no answering service or answering machine. Therefore we can serve you without your having to wait on the line for a dispatcher to take your order. Whenever you need delivery service, you will always be talking to a live person! Our computerized dispatching system is an input to the financial management system. 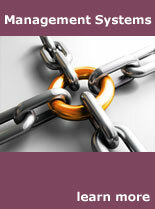 Customers may choose from one of three invoicing systems. Many customers choose to have us send them an invoice for a group of deliveries and do not wish to have us send them proof of delivery paper. Capital Couriers maintains signed copies of all delivery tickets as a backup. Other customers require that we submit with our invoices the bills of lading and the signed delivery tickets for each item on the invoice. We will do that and still maintain backup copies of the proof of delivery. Invoices can be emailed directly to your accounts payable department.